Families that holiday together – stay together! Someone once described being a parent as a process of inevitable separation. It’s true, but it doesn’t mean I have to like it! And I don’t think the reality has to be quite so stark. I like to believe that what we’re doing now with our 9 year old is helping to ensure that while there will undoubtedly be physical and geographical separation – we will always be connected! 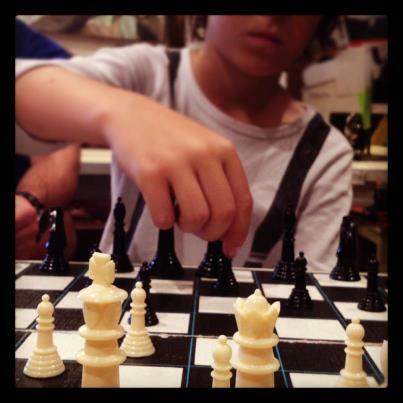 Chess – This is our latest family hobby – discovered on holiday while sitting in a cafe. Although the competition can become quite intense (my 9 year old quite often beats me!) because we’re all focused on the same thing it becomes a unifying activity. The added benefit is that it’s such a great game for exercising both young and not so young minds! Had I not been in relaxed holiday mode when we initially played I am fairly sure we would have impatiently put it aside as it required too much brain power. However now it has easily transferred to our everyday lives – most Sunday mornings we go to our favourite cafe and recommence the chess battle! Skateboarding – When my partner (who is luckily a big kid) suggested we all try long-boarding I was skeptical. But he bade his time and eventually pulled 3 long-boards out of the boot on our Sunshine Coast holiday. 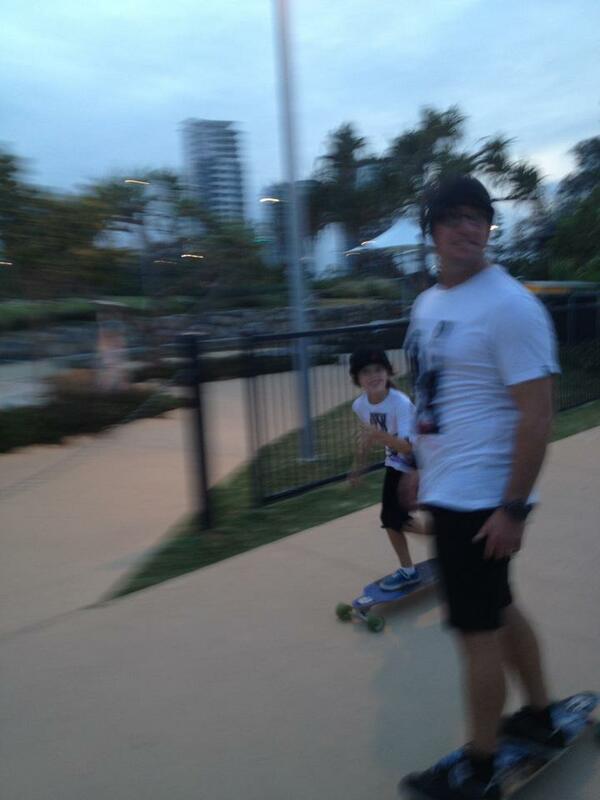 Long-boarding is surprisingly easy (and I like to think gives me a bit of ‘street cred’ with the boy). He seems to love that we share this activity with him. I’m realistic though, and realise that fairly soon he won’t think skateboarding with mum and dad is ‘cool’ anymore, but for now it’s another quality family activity we’ve integrated into our everyday lives (we usually skateboard to our favourite cafe to play chess!). Do something he wants to do – This is probably the best thing we’ve done to put off that ‘separation’. In everyday life we don’t have the time (or in reality the energy and enthusiasm that we should) to spend an hour throwing the footy with our son. On holidays we make a point of letting our son plan some activities – and whilst we might try to ‘steer’ him toward certain things there have been days when we spend not an hour, but a whole day throwing the footy – because that’s what he wants to do. In the end, it’s not really even about what you do. The time spent together doing whatever it is you’re doing allows you to create memories, jokes, songs and rituals that can help get you back into relaxed holiday mode when you’re back living your busy lives. Hopefully this will help keep us connected when that inevitable separation kicks in. What family activities have you discovered on holidays? Please feel free to share below! ← A smorgasbord of chocolate factories: Margaret River Chocolate Co.